Wow, it was way back in February that I made the hat for this costume. I must have thought that I would be speeding through all the other pieces in record time, just because one piece was done. But now it is almost October and I just finished the vest. Realistically, the vest is the most important part of the costume and could work with the hat as a whole costume. Your child could wear a pair of favorite pants and a long sleeve tee—better if both were brown like dog fur—although I am committed to making the whole thing and I have all this brown fleece. 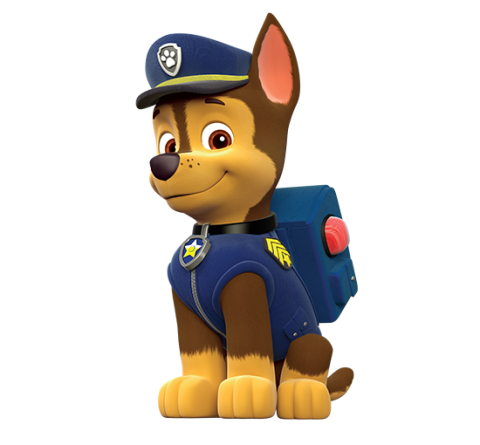 The vest should have a center zipper, a collar (it is a dog, after all), his badge, and military stripes on the shoulder. If you look closely, you can also see pockets near the front bottom of the vest. I started with this plain vest pattern, moving the chest pocket to the side-hip area, and attached Chase’s badge to the zipper pull. I put a little more yellow into the finished vest by using yellow plastic zippers to echo the yellow features in the original. The pattern called for fleece, edged with stretch elastic binding. I used a medium weight cotton and double fold bias tape for the edging. I sent away for the shoulder stripes and stars appliques, as well as for the badge appliques (front and back of the pull). You’ll also notice that the pattern calls for a band on the collar, which worked just right as Chase’s dog collar. I used black for the trim there and on the armhole edges. I was worried at first about the entire vest looking like it belonged to Chase, but it worked out better than I expected. I’m even thinking about making the vest for myself in the quilted version.